A dead battery, a flat tire, a stalled engine… on a frigid and stormy night, these are every driver’s worst fear. It’s bad enough that shoveling our cars out of snow piles is a daily occurrence during the winter. When real car trouble strikes, however, it can be extremely dangerous. There’s nothing worse than car trouble, and during the coldest months of the year, it’s all too common. From what to do if your car breaks down, to how to stay warm when your battery dies or you go off the road, we are sharing the top causes for winter breakdowns, our tips for avoiding them, and what to do if a breakdown is unavoidable. Did you know that it’s more difficult for a car battery to produce a charge during the colder winter months? This means that when you turn the key, it might not produce enough energy to start your car. That’s a scary thought. Don’t get caught in the cold with a dead battery – use our tips to avoid this winter weather catastrophe. Check your car battery voltage with a voltmeter or multimeter before it gets too cold. You can also ask your mechanic to take a look when you bring your car into the shop to get winterized. What voltage should you look for? Roughly 12.40–12.75 volts is enough to ensure reliable startups in cold weather. If you live in a particularly frigid place, consider investing in a battery rated for cold temperatures. When shopping for a cold-weather battery, look for one with a high CCA (cold cranking amps) count. CCA count is a measure of how many amps the battery can generate in cold or freezing temperatures. 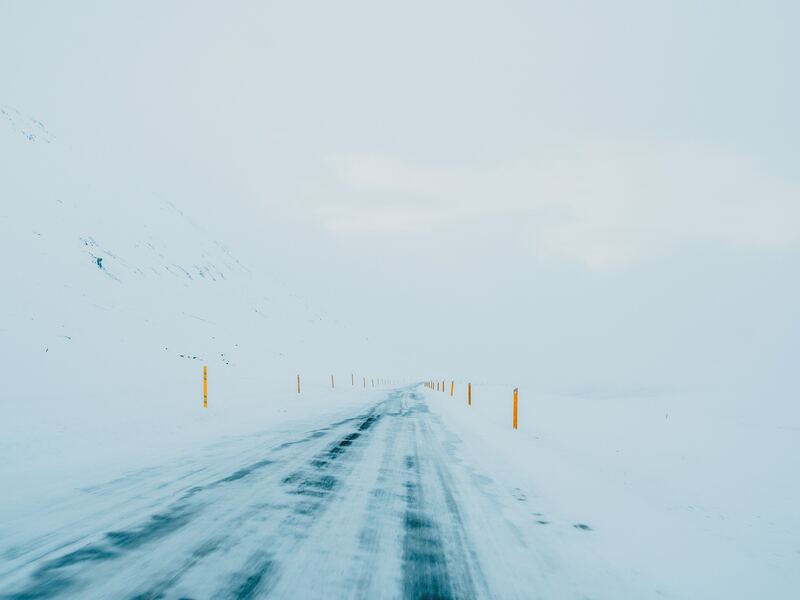 Your tires are your contact with the road, so it’s important to keep them properly maintained for driving in wintery conditions – especially when roadways are slick and icy. Fresh tire treads help channel snow and water away and grip the road, and proper tire pressure helps your car dig into loose or slushy surfaces (like a road covered in a fresh layer of snow!). Without properly maintained tires, your car may have trouble staying on the road or coming to a stop when you hit the brakes. Yikes. Be sure to check your tires before winter weather hits, and continue doing so regularly after the temperatures drop. Did you know that the air pressure in your tires can drop 2 PSI for every 10 degrees the outdoor air temperature decreases? Therefore, it’s important that they stay properly inflated during the entire winter season. We suggest using a gas station air pump to check your tires at every other fill-up during the winter. Pro tip: the recommended PSI for your tires is usually printed on a sticker on the inside of the drivers-side door. Bald tires and slick roads are a recipe for disaster. It’s crucial to make sure the tread isn’t worn down on your tires during the winter. To check your tread depth, try the Lincoln test: stick a penny into the center of the tread with Lincoln’s head pointed in. If you can see the top of Lincoln’s head, the tread depth is too low and your tires need to be replaced ASAP. Pro tip: spring for some dedicated snow tires if you live in a place with severe weather. If, on a particularly freezing morning, you turn the key in the ignition and you hear a squealing noise akin to cats fighting and see steam pouring out of the hood – there’s a good chance that your radiator has either frozen or cracked. In cold weather, your engine can also overheat (yes, you read that right!). This is due to the motor oil becoming thicker and not circulating properly throughout the engine. Park indoors whenever possible. Parking indoors will help prevent fluids in your engine from constantly vacillating between freezing and expanding. Be sure to also check your car’s coolant concentration before winter hits (hey, it’s called antifreeze for a reason!). Your mechanic should have it on their pre-winter checklist to make sure the fluid proportions are correct to keep them from freezing. Pro tip: a 50/50 mix of antifreeze and water should be sufficient. Try swapping out a standard oil for multi-viscosity motor oil, which will perform better in all weather conditions. Ask your mechanic or contact your vehicle manufacturer’s customer service line to find out if you should do a winter oil change – they may recommend switching to thinner, less viscous oil that’s rated higher for colder temperatures. Sometimes a breakdown in winter is unavoidable. Don’t panic. Whatever you do, stay with (and inside) your vehicle. Exposing yourself to subzero temperatures and extreme weather is dangerous and should be avoided at all costs. Do everything in your power to stay warm by running the heat, layering in warm clothing, and staying inside the vehicle. Your car will provide the best protection and keep you warm and dry until help comes. In the winter, keep extra bottles of water and snacks in your car in case of breakdown. Depending on your location or the severity of the weather, it may be hours before assistance can reach you. Have Metromile insurance with added roadside assistance? Then call for help using the Metromile app, phone or your online dashboard. If you don’t, call for whatever help you can. This includes a snow scraper brush, small shovel, road flares, blanket, warm clothing, hand warmers, a small bag of sand, etc. At the very least, these items will be enough to alert other drivers of your presence and make it easier for assistance to find you in the storm. Whatever you do, do not rush out of your vehicle or try to dig your car free of a snow bank. Doing so exposes you to the cold and elements, and it will be much harder to warm your body back up. In some circumstances, you may be waiting hours for help to come and it might be tempting to doze off. Do everything you can to stay awake. If you’re trapped inside your car with the engine running, you may be susceptible to carbon monoxide poisoning. Falling asleep during carbon monoxide exposure is extremely dangerous and can lead to instant death. Still have questions? Reach out to us on Twitter, Facebook, or Instagram or visit the help center. Not a part of the Metromile fam yet? Grab a free quote now and see how much you could be saving each month. Metromile customers save an average of $611 a year! Current Metromile customers: refer a friend to Metromile and get $25! Be safe this winter and see you on the roads. Why Does My Metromile Bill Vary? Some things in life are consistent and predictable: long lines at the DMV, sticker shock at the movie theater, and an overflowing email inbox every Monday morning. But other things fluctuate a bit. Case in point: your monthly Metromile statement. Have you ever wondered why your bill varies from month to month? If so, you’re far from alone — it’s one of the most frequently asked questions customers have, so today, we’re tackling it head-on. Here’s the deal in a nutshell: Metromile isn’t just unique in its pay-per-mile structure and execution; it’s also totally innovative in its approach to billing. Unlike most other insurance companies who charge a hefty fee regardless of whether you drive 5 miles or 5,000 miles, Metromile charges a low base rate to cover your car while it’s parked, and then tacks on pennies per each mile your car is actually driven. So essentially, customers really only pay for what they use, which Metromile thinks is a pretty fair way to do business. Because of that model, however, you’ll inevitably see some fluctuation from month to month. Unless you’re strictly sticking to a mileage budget, you’re probably mixing up your time behind the wheel quite a bit. Maybe one month you’re relying on public transportation a little more heavily and the next month you’re off on a road trip. 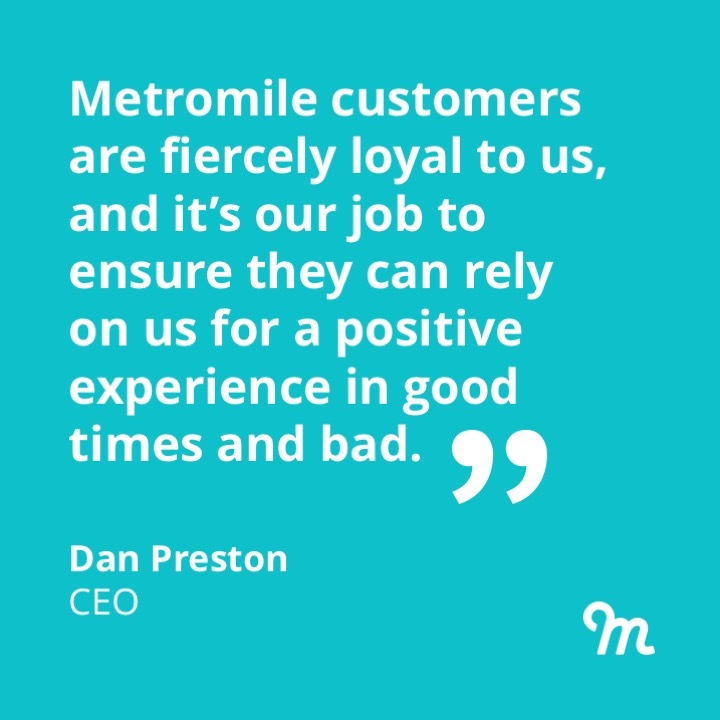 No matter what comes up in your life, Metromile’s mission is to keep your costs as low as possible. So what exactly is the math behind that monthly bill variation? There are a few good reasons for the ups and downs you observe each month. First, let’s talk about that base rate. That sum is determined by a daily rate multiplied by the amount of days in each month. So, as you can expect, shorter months will always cost slightly less (i.e. February vs. October, or any month with 30 days versus those with 31). Despite the subtle nuances, your actual daily rate will never change within a six-month period unless you make a specific request. While your base rate will pretty much stay the same throughout the month (give or take the cost of a few days, depending on the length of the month), the other portion of your bill may rise and fall quite a bit — that’s the pay-per-mile portion. 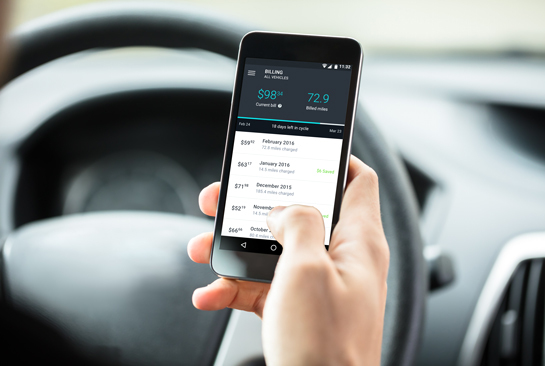 Because Metromile doesn’t believe in charging customers for miles they don’t drive, you’ll always be in complete control of your mileage charges and have the opportunity to budget miles accordingly. Because miles are charged retroactively, you’ll always have the opportunity to reflect on your actions from the previous month and, if necessary, make adjustments. Took one too many long joyrides or repeated Target runs last month (hey it happens)? If money’s tight this month, you might choose to do more errands on your bike or walk to work a few days a week to save some dough. Having a varying bill means you’re in control of what you pay — not an anonymous insurance company charging an arbitrary rate. You can even monitor your monthly bill on a daily basis if you want to, just to be extra sure you’re staying on or below your car insurance budget. Any time you know you need to put aside some more cash for the month, you’ll know if and when driving less can save you more. Even when it’s simple, billing can still be confusing, so if you still have questions, don’t hesitate to reach out on Twitter, Facebook, or Instagram or visit the help center. And if you’re still not sure whether Metromile is the insurance company for you, visit metromile.com or call 1.888.242.5204 to get a free quote. What Will Transportation Look Like in 2019? New year… new transportation methods? Since the days of Back to the Future, the world has been poised for flying and self-driving cars. 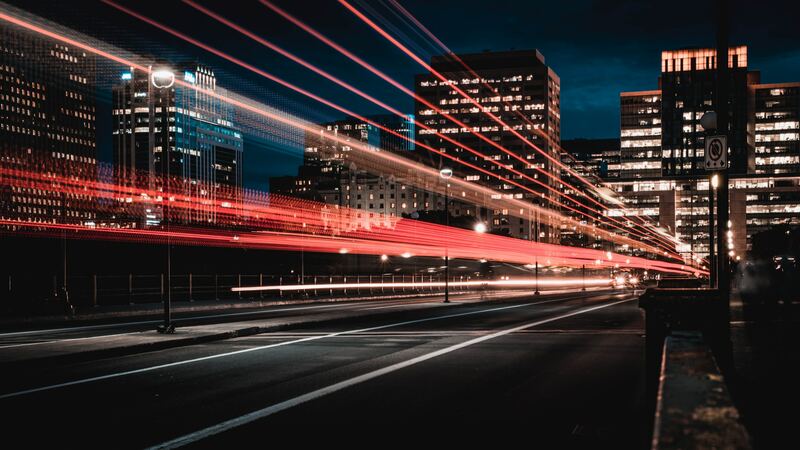 If the future really is now, how are we doing on these futuristic transportation options and what other transportation methods are available to us now that can help us keep our mileage low? 2019 is here, people. Let’s look into the forms of alternative transportation available to us now, and in the future. Pretty much every big player in the auto industry is hard at work researching and developing an autonomous vehicle. Key players include Tesla and Alphabet/Waymo (the parent company of Google). Tesla is pushing for a vision-based system, with cameras positioned strategically around the vehicle taking in the 360º view of surroundings as the car moves. Alphabet/Waymo has a LIDAR system (Light Detection and Ranging) on their vehicles, which is a spinning apparatus on the top of the car that sends out lasers and measures how long it takes for them to bounce back – similar to how bats use echolocation! This system is able to definitively calculate the distance of objects and is much more accurate and reliable than a vision-based system. However, LIDAR does not work very well in fog, rain, or dust, due to its use of light wavelengths, and doesn’t distinguish color and contrast. Some states do not allow the testing of autonomous vehicles on the road – no surprises there! The state of California requires all companies testing self-driving technology to publish a Disengagement Report. This report details how many miles the self-driving system has driven in the state of CA and reports the number of times that the human driver has had to take over for the self-driving system. Given this (and the fact that many companies are wary of publishing this information), many are moving beyond the CA state lines and testing their technology elsewhere. Uber has a large deployment of self-driving tests being conducted in Phoenix, Arizona, and Tesla has been rumored to be testing their tech entirely on a simulator. Elon Musk’s Hyperloop (LA) and Express Loop (Chicago) saw a lot of testing and speculation in 2018. Often criticized, tunnels are expensive to build and take a long time. Additionally, many city infrastructures wouldn’t be able to handle it. Innovative tunnel technologies and companies, such as Elon Musk’s The Boring Company, have a ways to go before they’re ready for universal adoption. We’re at least five years out from any of them coming to fruition. Chances are if you live in or have been to a major city recently, you’ve seen electric scooters on every street corner. Across the country, more and more cities have been adopting electric scooters as another means of public transportation. Nowadays, there are so many companies offering them it’s hard to keep track. In the pros category, electric scooters are easy and cheap transit for short distances. They work well on flat surfaces and are faster than walking to your destination. However, the cons include a lack of dedicated infrastructure, environmental hazards (such as rain or snow), and riders not always following the rules (including wearing helmets, not riding on sidewalks, not riding when drinking, etc.). We can expect to see a nationwide crackdown on regulation of electric scooters in 2019. As in 2018, California will continue setting the pace with electric vehicle policies and deployment in 2019. Other states are beginning to catch up, with legislation aimed at boosting and strengthening electric vehicle development. Expect to see electric vehicles getting bigger and better this year, with more SUVs, longer mileage ranges, and lower costs. Additionally, utility companies are rolling out programs to meet electric vehicle demand. In addition to rebate programs, many utility companies are creating time-of-use programs to shift charging times toward less stressful times for the power grid. Public transit ridership has decreased over the last year in most major markets due to an increase in car ownership and the rise of rideshare services like Uber/Lyft. 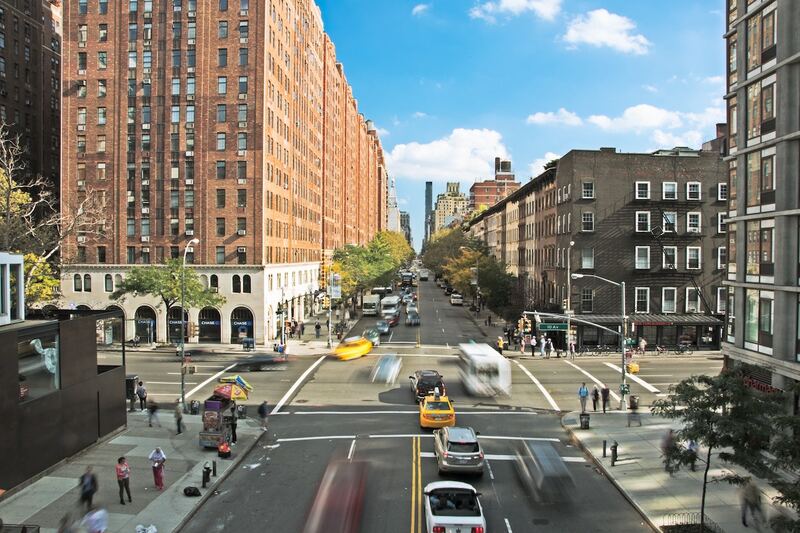 To combat this and incentivize more people to take public transit, some cities are looking at enacting congestion pricing that would charge drivers more for roadway access during rush hour. This idea has been successfully implemented in cities abroad, including Singapore, Stockholm, and London. The question remains, however: will cities be able to overhaul their current systems with long-term investment to expand current transit coverage? That’s the only way to truly make this system work on a larger scale. Have questions about what you can do to lower your mileage? Reach out to us on Twitter, Facebook, or Instagram. Questions about coverage? Visit the help center. If you’re not already part of the Metromile fam, make the switch and start saving today! Click here to get a free quote. It’s never a bad idea to implement positive, healthy changes in your life, but no time of year has that fresh slate feeling quite like January. Declaring “new year, new me!” may seem cliche at this point, but self-improvement is a sincerely worthy goal (whether you post about it on social media and hashtag the heck out of it or not). 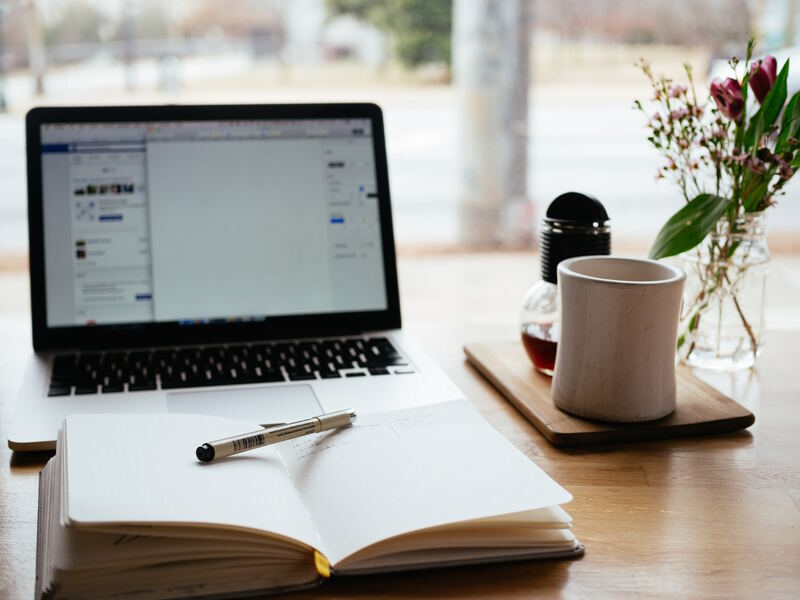 And while resolving to write that movie script you know will make you millions is certainly a worthy objective to work toward, setting small, actionable intentions that benefit your overall wellbeing are worth their weight in gold. Eat a healthy and diverse diet. Unsurprisingly, January ‘tis the season for weight loss brands to target just about everyone with get-thin-quick plans and gimmicks. At best, most restrictive diets are ineffective in the long run; at worst, they’re dangerous. Rather than falling prey to marketers and influencers trying to sell you their “groundbreaking” food plans, consider opting out of diet culture altogether and focusing on what really matters: feeling your absolute best. Barring any allergies or specific sensitivities, most people thrive on a diet plan that consists of common sense choices and a nutritious array of mostly-plant-based options (with the occasional treats thrown in to stave off potential restriction-induced binges). A good guide for integrating healthier options: renowned health writer Michael Pollan’s “food rules,” which include, “don’t eat anything your great grandmother wouldn’t recognize as food,” “don’t eat anything that won’t eventually rot,” and “don’t eat anything with more than five ingredients, or ingredients you can’t pronounce.” So maybe try stocking up on more colorful fresh produce of all kinds and cutting back on the processed stuff. Celebrities swear it’s the reason for their clear skin, and just about every wellness blogger claims to consume a gallon a day: H2O. While it may not eradicate zits or solve all your problems, water is a majorly important component in helping your body process waste, regulate temperature, lubricate joints, and protect sensitive tissues. While each person’s individual water needs may vary, sipping consistently throughout the day any time you’re thirsty is a good idea. Exercise, environment, and certain health conditions will affect your total intake needs, but try tuning into what your body is telling you and remember that beverages like herbal tea and juice can keep you hydrated too. And fruits and veggies are packed with water — another reason to include more of them in your diet! Aim for 30 minutes of exercise most days of the week. 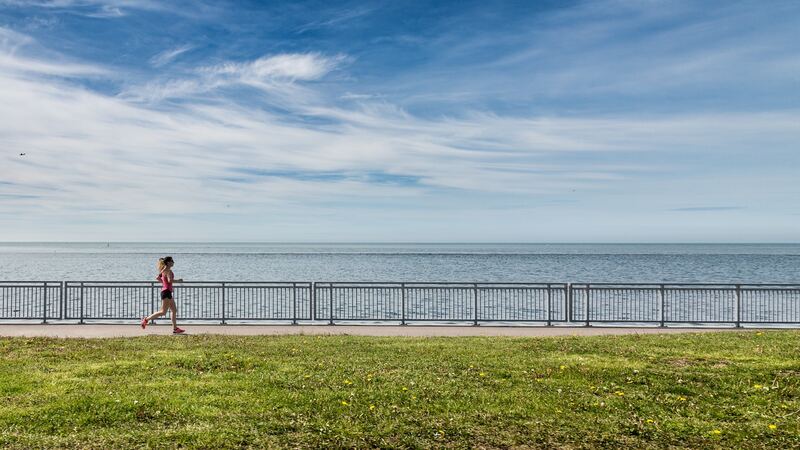 You’ve heard it a million times: physical fitness is an essential part of overall health. And it’s true: exercise can do everything from reduce your risk of heart disease to regulate your blood sugar and insulin levels and more. It can even help boost your mood and sharpen your cognitive skills. And it doesn’t take too much to reap the benefits: experts recommend getting at least 150 minutes of moderate-intensity or 75 minutes of vigorous-intensity aerobic activity each week in addition to twice-weekly strengthening sessions. But according to a recent report from the Centers for Disease Control and Prevention, only 22.9% of U.S. adults between the ages of 18 and 64 are meeting the guidelines. Whether people are intimidated by the gym or stuck in all-or-nothing thinking that convinces them to stay on the couch unless they’re ready to run a marathon, too few people are taking part in physical fitness. The good news is you don’t have to chain yourself to a treadmill to get results. Recent research indicates that short bursts of activity throughout the day count toward your overall goal. So take the stairs, park a few blocks away from your destination, walk with friends, and just keep moving as much as you can. Spend more time outside and less time online. Look, we’re all guilty of falling into a swiping/scrolling spiral, sinking far too many minutes (or hours) into our tech devices and depriving ourselves of the great outdoors. But getting outside (and off your phone) is so important for your health. According to a report published in 2018, exposure to “greenspace” (i.e. undeveloped land with natural vegetation, including parks) reduced the risk of type II diabetes, cardiovascular disease, premature death, preterm birth, stress, and high blood pressure. On the flip side, too much screen time has been linked to impaired vision, disturbed sleep, serious posture problems, and more. Consider logging off and getting some vitamin D (the “sunshine vitamin” that’s crucial for healthy bones, teeth, immunity, and more) — just be sure to wear sunblock! Get a good night’s rest every night. Ah, sleep. That critical piece of the wellness puzzle that seems to always get overlooked. We all know we need it, yet so many of us are skimping on the 7-9 hours most adults need (more than one-third of us, actually). But sleep is a non-negotiable must for good health because it allows your body to repair, heal, and recover from the stress of everyday life. Not to mention lack of adequate sleep can negatively impact your motivation, mood judgement, and perception of events. There are a slew of ways you can start cleaning up your sleep hygiene, but one important tip is to ditch tech, as studies have shown the blue light emitted from screens and electronics can suppress your body’s natural production of melatonin, the hormone that controls sleep-wake cycles. Other tips harken back to some of the health goals here: integrate more exercise, balanced eating into your life and you might just find yourself drifting off to dreamland with ease. Drive less (and save more!). Everyone loves to save a few bucks (maybe it’s another one of your new year’s resolutions? ), but budgeting is always better when there’s a health bonus involved. Enter Metromile: the pay-per-mile car insurance that’s perfect for low-mileage drivers. By stepping up your daily walking, jogging, biking, and more, you might find yourself keeping the car parked in the garage more than before. And while that might seem wasteful if you’re shelling out tons of cash on a monthly insurance premium, Metromile makes sure you’re only paying for the miles you actually drive, on top of a low monthly base rate. So no guilt, better, health, and more money in the bank. Sounds like a win all around — what a way to start the year! 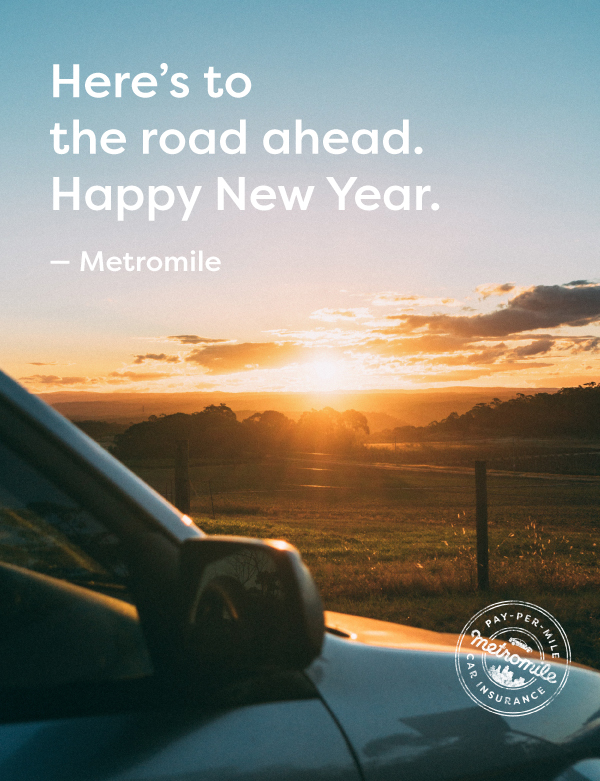 If you’re ready to stop overpaying for car insurance and start fresh in 2019, visit metromile.com for a free quote or call 1.888.242.5204 to talk to a qualified agent. And if you’re already a Metromile customer and you’re looking for more ways to save, contact an agent online or by phone to talk about all the options out there. Chances are, if you’re a Metromile policyholder, you drive a Honda. How do we know? Since 2017, the top 2 cars that Metromile has sold policies for are the Honda Civic and Honda Accord. Eagle-eyed readers know that we’ve already shared our top tips for car maintenance if you’re a low mileage driver and our guide to Metromile Roadside assistance, so today we’re diving into something special for all you Honda drivers. Did you know that Honda is the largest engine manufacturer in the world? Honda sure knows their way around a car engine! In 2011, Joe Cicero from Maine became the first person to ever to reach 1 million miles on the original engine and transmission (a 1990 Accord!). To celebrate his accomplishment, Honda gave him a parade and a new 2012 Accord. By taking great care of your Honda engine today, you could become the next Joe Cicero! Let’s dive into some of our best car care tips for all you Honda drivers. For all Honda models, performing regular maintenance according to the factory-recommended maintenance schedule is the best way to keep your vehicle running in optimal condition. Take care of your Honda now and it will give you miles and miles of worry-free driving in the future. Maintenance schedules can either be calculated with miles or months, depending on which you reach first. If you’re a consistent commuter, you’ll want to schedule your maintenance around a mileage system; if you don’t drive the car as often, you’ll want to follow the month system. 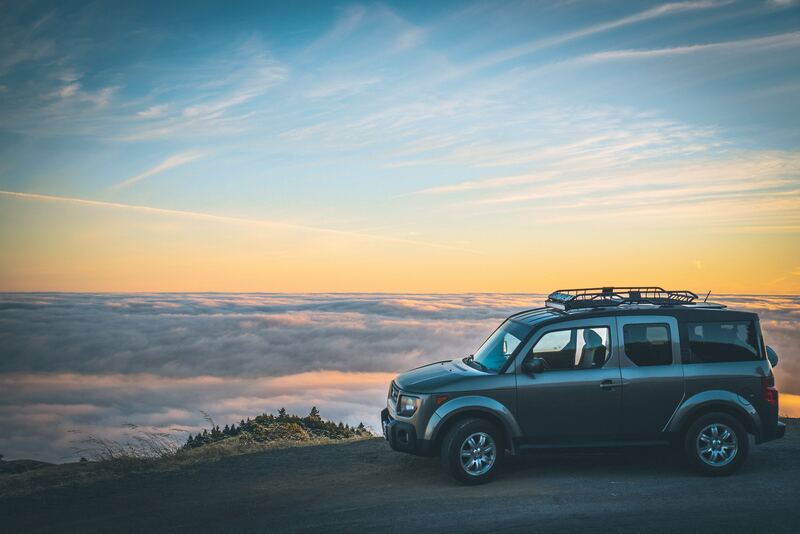 15,000 miles/12 months: Replace the engine oil filter, inspect front and rear brakes, check parking brake adjustment, and visually inspect elements such as brake hoses, fluids, cooling systems, exhaust systems, etc. If you take care of it, your Accord can keep going, and going, and going…. Honda recommends a routine service appointment about every 5,000 miles for your Honda Accord. You should also schedule additional special services at other mile intervals as well. The following mileage marks are when you should have these items changed, replaced or checked. Do these maintenance items when this mileage shows up on your Honda’s odometer. While it initially may seem like a lot, staying on top of these vehicle maintenance guidelines will keep your Honda in tip-top shape for years to come. Who knows – maybe Honda will even throw a parade in your honor! Whether you’re a Honda driver or not, this handy maintenance checklist is valuable to any car owner. Want to join the Metromile fam and save hundreds on your car insurance? Click here to grab a free quote. To our Metromile family members, we love and appreciate you every day – you are the reason we do what we do! Refer a friend to Metromile and get $25. Everyone likes a little extra cash in their pocket this holiday season! Be safe out there and see you on the roads. There’s no better time to initiate good habits than January. Everything feels fresh and new, and you’ve likely already resolved to be a new and improved version of your former self. Maybe you’ve vowed to be more responsible, more organized, or more independent. One route to achieving all those goals and more? Cha-ching. That’s right: making smarter decisions when it comes to spending can completely transform your personal and professional life. Money definitely isn’t everything…but it sure does help. And feeling totally secure about your finances will help you feel in control in all areas of your life. 1. Set financial goals. Hoping to travel? Buy a new car? Maybe even purchase your first home? Think about what you really, truly want, get excited about it, and then strive for it. Commit to your goal by writing it down or even creating a vision board with pictures and phrases that motivate you — bonus points for displaying it somewhere you can see it every day. 2. Take stock of what you pay for. Are you really watching anything on cable these days or are you exclusively getting your entertainment via Netflix? Have you actually attended a class at that expensive gym since….last January? If you’re not getting full use out of each of your expenses, consider downgrading or eliminating them completely. 3. Pack your lunch. Maybe it doesn’t sound as fun as an impromptu afternoon at the Olive Garden (or wherever your coworkers wind up), but it’s unbelievable how much money you can save just by making your own meals at home. Think about it: if you spend $10-$15 (or, let’s be honest — more) five days a week, that’s anywhere from $2,600 – $3,900 a year. Brown bag it instead and save all that cash for something special. 4. Look for deals. You don’t have to be a compulsive coupon clipper to reap the rewards of available bargains. Websites and apps like RetailMeNot and BradsDeals make it ridiculously easy to comparison shop and find deals on big-ticket items and smaller splurges. 5. Brew your own coffee. Just like packing your lunch will help you save, skipping the super fancy and overpriced coffee shop latte will spare you tons of wasted dollars. You can even buy a personal french press that doubles as a travel mug to brew your own on-the-go java for pennies. 6. Set up automatic transfers. Everyone’s eyes widen with possibility when they see their paycheck hit their bank account, but to avoid the temptation of burning through it, set up an automated transfer to your savings account on your paydays. It doesn’t have to be a big amount, but putting a chunk of change out of sight will keep you from spending it. 7. Couple bad habits with good ones. Everyone deserves to indulge now and then, but if you’re trying to break a bad habit, kill two birds with one stone and pad your savings account while you’re at it. For every dollar you spend on something you consider a “bad habit” purchase (alcohol, junk food, cigarettes, etc. ), deposit a dollar directly into your savings account. 8. Walk whenever you can. In some cases, logging the steps necessary to get to the office takes just as much time as dealing with gridlock traffic or the hassle of public transportation — not to mention it’s great for your health and it’s totally, completely free. 9. DIY more. Modern technology has made it absurdly easy to pay your way out of every inconvenient task, but taking the time to fix your old appliances, making your own homemade gifts, or putting together your Ikea furniture will save you lots of cash and help you realize how capable you totally are. 10. Switch to Metromile. Not only will you save money on your car insurance, but you’ll avoid the exorbitant costs of street sweeping tickets, mechanic shop visits, and other money pits. Wanna know how? Check us out now. Making sound money saving decisions now can set you up for big success in the long run. Try these ten tips and pat yourself on the back for showing 2019 who’s boss. How Do Low-Mileage Drivers Get Around? First of all, when it comes to self-identifying as low-mileage drivers, participants are pretty spot-on. According to the survey, 67.8% of Americans consider themselves “low-mileage drivers” (defined by researchers as less than 251 miles per month). That stat isn’t too far off from the truth, which is that more than 70% of Americans between the ages of 18-24 are low-mileage drivers, based on their self-reported monthly mileage. Older drivers tend to get behind the wheel a bit more, but even the age group with the least amount of low-mileage drivers (ages 45-54) counts more low-mileage commuters than high-mileage ones (57.75% vs. 42.25%). So if so many drivers aren’t driving all that much, how exactly are they getting around? While respondents cited a variety of transportation modes (walking, biking, scooting, etc. ), a lot of people picked rideshares (like Uber and Lyft) as their top pick. And the rideshare love seemed significantly associated with location; Californians, for example, really like to rely on these services, with more than 20% of respondents from the state saying they use them. Californians are also the most flexible and progressive when it comes to which respondents bounce back and forth between driving their personal vehicles and utilizing alternative transportation methods. While Virginians are deeply committed to their cars (over 70% of respondents from that state said they only use their own autos for commuting — no bikes, buses, or subways for them), Californians weren’t so loyal and liked to jump around from one mode of transportation to another (more than 60% of respondents from that state said they use their own cars in addition to alternative transportation methods). One big reason drivers — regardless of location — choose to use alternative modes of transportation is convenience. More than half of respondents ages 18-34 said they like to find other ways to get around because those methods just fit into their lives better and make their day-to-day commutes easier. But let’s go back to ridesharing for a second. Despite the fact that drivers around the country are definitely dabbling in the services, certain states just aren’t sure how they feel about them. At first glance, Illinoisans, for example, seem to love ridesharing, since more than 40% of respondents from that state said they do it once a week or more. But while many residents claimed they tool around town in an Uber or Lyft that frequently, many more Illinois drivers said they’re not such heavy users — in fact nearly 70% said they use them less than once a month. Confusing, yes, but they’re not the only ones feeling unsure about rideshares — Virginians are actually the slowest to adopt the services, with nearly 90% of respondents from that state saying they use it less than once a month (which makes perfect sense given how much we know they love their personal cars). All in all, the Metromile survey results are pretty enlightening and offer some unprecedented insight into the habits and preferences of drivers around the country. With technology changing the landscape of life on the road, commuters now have more options for how to move around. Metromile believes one of those options should be high-quality, affordable insurance coverage for low-mileage drivers, whether those people are hopping in Ubers more often than they’re starting up their own vehicles, or if walking to the office just makes more sense during the work week. If you’re already a Metromile customer, discover all the ways you can make your coverage work for you at metromile.com. And if you’re thinking of making the switch, visit the website or call 1.888.242.5204 to speak to a qualified agent and receive your free quote today. The last thing an animal lover wants to think about is a car accident involving a creature of any kind. But animal-related accidents happen, and unfortunately, they happen a lot. According to the most recent roadkill statistics, 253,000 of the 6.3 million annual auto accidents in the U.S. involve animals. And while that number may be shocking, it may not even be the half of it: it’s estimated that about 50 percent of collisions between vehicles and large animals go unreported. The vast majority of these accidents involve deer (90 percent), but an appalling amount of vertebrates are run over each and every day — 1 million (that’s one creature every 11.5 seconds). It may sound impossible, but if you see an animal run out in front of your vehicle, try to remain calm. If possible, quickly scan the road and the shoulders ahead of you to get a sense of where you can direct your car. Believe it or not, swerving suddenly is not the best plan of action. Rather than suddenly steering in one direction, attempt to slow down as much as possible while keeping an eye on your rearview mirror to make sure no one is directly behind you and might risk crashing into your vehicle. However, be careful not to slam on your breaks as this can cause skidding. If you see the animal approaching from the right side of the road, steering in that direction and attempting to go behind the creature might encourage it to cross faster. If there’s no oncoming traffic, flash your high beams to alert the animal (this may also help illuminate some creatures’ reflective eyes). 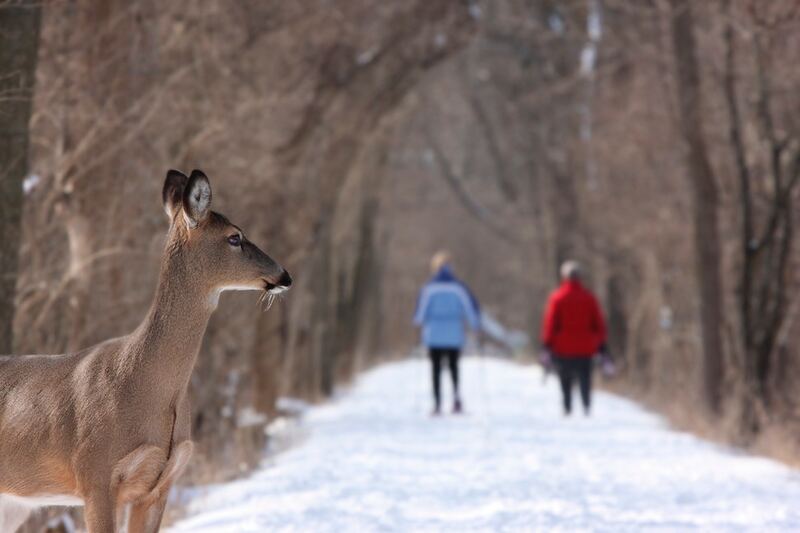 Avoid keeping the lights on since the steady brightness can cause deer to stop in their tracks. Honking your horn may also help drive the animal out of the way and/or alert other drivers to stop or slow down. If you’re traveling in areas with a lot of wildlife, stay extra vigilant, especially around dawn and dusk when many animals tend to be active. Even if you take all the proper steps to avoid a collision, it’s impossible to completely guarantee against an animal-related accident. If you do have the misfortune of hitting an animal with your vehicle, it’s crucial to know how to proceed post-accident. While the United Kingdom has an overarching law that requires drivers to report accidents involving certain animals like dogs, goats, horses, etc., the U.S. rules vary by state. However, most states require drivers to pull over if they hit a domestic animal, and immediately contact the appropriate state or local authority (if you’re driving on a busy road or highway, however, where it might be dangerous to stop, keep moving and call the police to report the accident). Check the driver’s handbook for your state to know all the legal requirements. Animals like a deer or elk have the potential to do major damage to your vehicle, and in some cases, you and your passengers. If there’s no time to slow down or avoid impact, it’s important that you lower your body down in the driver’s seat so you’re maximally protected by the dashboard in case the animal shatters your windshield. Large animals tend to roll over a vehicle if they’re hit and crush the center of the roof and windshield — to minimize your risk of injury, lean toward your door, not the center of the car. If you do hit a large animal, pull over immediately and stay in your vehicle — while your instinct may be to help the injured creature, you could put yourself in serious danger by coming close. Put on your emergency flashers and call for help ASAP. Even house pets can act in unpredictable ways when hurt. If possible place a blanket or jacket around domestic animals but do not approach if they seem aggressive or in serious distress. Call the police (and if you can see contact information on their collar, call their owner immediately). Wait with the animal until authorities arrive. Once the animal has been helped, you may choose to file a police report — because most states require pet owners to keep their pets under control, you may be able to receive compensation for vehicle damages. Immediately report the accident to your car insurance company — if you have comprehensive coverage, your plan may compensate for the cost of damages. However, if the cost doesn’t exceed your deductible, you may be responsible for the full cost of repairs. Here’s where comprehensive coverage really comes in handy. This is the type of plan that will be a big help if your car is stolen or damaged from issues like natural disasters, theft, and yes, animal-related incidents. It’s up to you to choose a deductible amount — that’s the out-of-pocket cost you agree to pay before coverage is afforded. A lot of people make the mistake of confusing comprehensive coverage with collision coverage. Both types of plans insure your car, but each covers different events. Collision covers car accidents, and comprehensive covers events out of your control. Think of it like this: “Collision” means colliding with something else (other than animals), while “comprehensive” basically covers all other events. Animal-related accidents are covered by comprehensive (and not collision) because these accidents are considered out of your control. While no one likes to think about the prospect of hitting an animal, understanding the ways to prevent and react are an important part of driving safe. Still have questions? Whether you’re already a Metromile customer or considering making the switch, the Metromile Help Center is a great resource for getting answers. And if your concern isn’t addressed, check out the rest of the site or call today to talk with a qualified agent and/or get a free personalized quote.